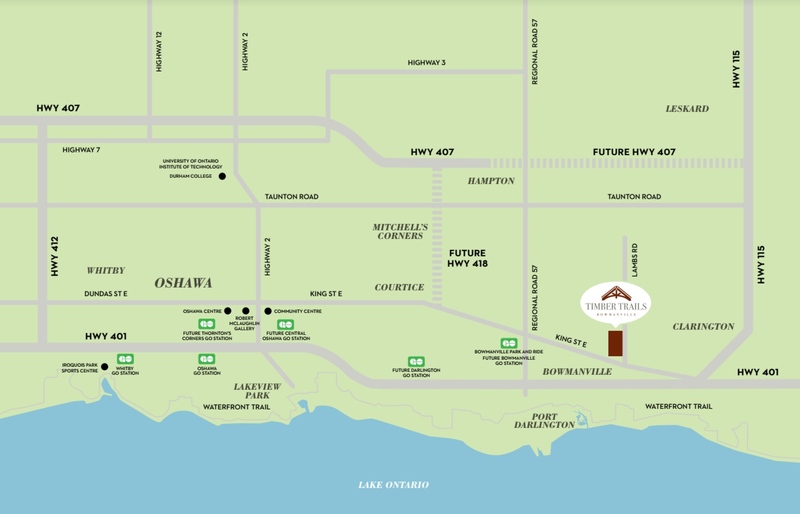 Stouffville-based FarSight Homes has announced plans to build a 100-acre master-planned community in historic Bowmanville. 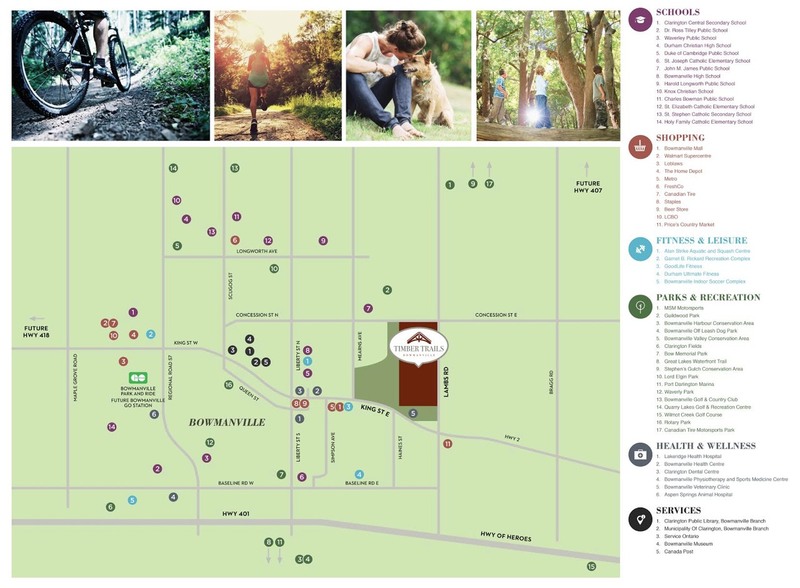 When sales launch this summer, Timber Trails will offer a wide selection of thoughtfully designed and family-friendly townhomes and singles surrounded by protected woodlands, creeks and miles of trails. Located an hour east of downtown Toronto, the town of Bowmanville in the sought-after Durham region is a community rich in heritage and charm. Its history dates back over 200 years when the first European settlers arrived in the late 1700s and many of the original buildings still stand, blended with new retail spaces and modern amenities. A quick jaunt west along King Street East is Bowmanville Mall, home to a variety of retailers and major tenants including a 24 hour Metro, a newly renovated Shoppers Drug Mart and a Good Life Fitness centre. Continue west and you’ll quickly find more convenient big box stores including a Wal-Mart Supercentre, LCBO and Loblaws. And it’s not just retail that’s within proximity of Timber Trails, residents will benefit from countless leisure and recreational facilities like the Alan Strike Aquatic and Squash Centre featuring a six lane, 25 metre pool, squash courts, and co-ed whirlpool and sauna. Or, if a day out on a golf course is more your style, the Bowmanville Golf and Country Club, Quarry Lakes Golf and Recreation Centre and Wilmot Creek Golf Course are all within a 15 minute drive away. Bowmanville is also very well connected so getting to all these places and beyond is quick and easy. Nearby Highway 401 provides an easy link to the Greater Toronto Area and will soon have a direct connection to Highway 407 when Highway 418 opens in a few years. Those who prefer to commute have convenient access to GO Transit which offers regular bus service to the Greater Toronto Area or train service from the Oshawa station. 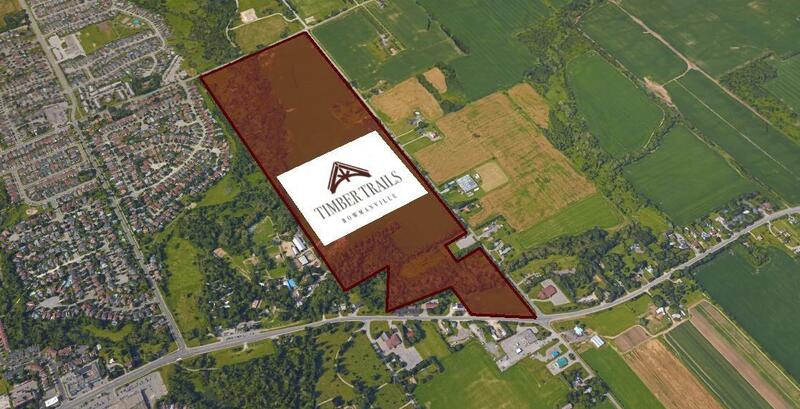 To learn more about Timber Trails be sure to register online for VIP access. For more information visit farsight.ca.